"The opportunity finally came to live with the car in a real-world environment (or as close as we come to reality) for a week at our Ann Arbor offices. 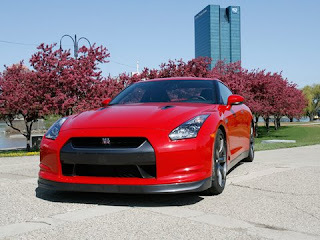 You can read about our time with the GT-R in the articles linked below. Be sure to check out the desktop-worthy images in our gallery as well. Prefer moving pictures? We took some video of the car, too. This one shows the neck-snapping acceleration of launch mode, as well as a race against a Suzuki Hayabusa motorcycle. We also pick apart the many Gran Turismo-inspired screens of the GT-R's center display in this video." They raced a Hayabusa. You have to watch the video to see what happened.